Anything that contains sugar can be fermented into alcohol this includes fruits or vegetables. 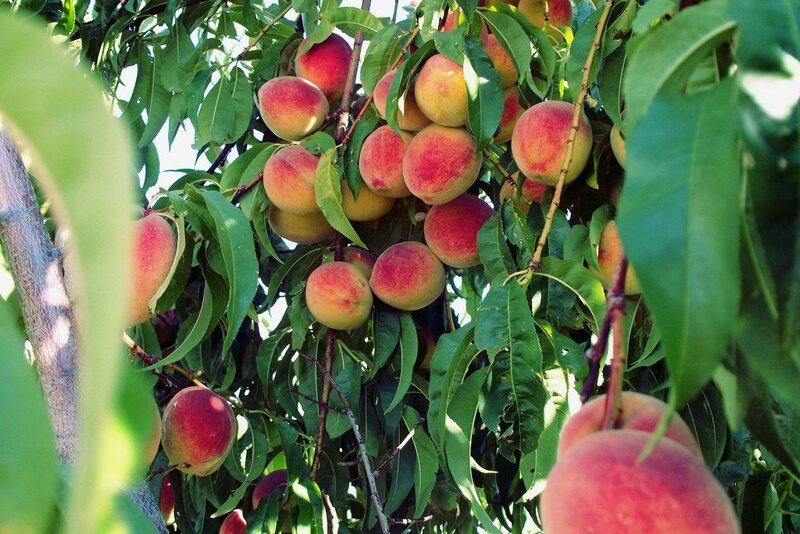 If you have fruit trees on your property or a garden any unused fruit or vegetables can be used to make unique and intriguing spirits . You can also talk to local farmers which may be able to supply you with bruised or over ripe fruit they will soon dispose of. If your going to create alcohol from a fruit mash like brandy or apple jack you need to first extract the sugars and juice from the fruit. There are several ways to do this. I find the best method is using a fruit press or juicer. A fruit press works great for making large batches. I like these traditional wood fruit press their about $130 and work great for smaller batches. You can also make your own fruit press, check out the video I posted below to get a good Idea of what this would entail. A juicer on the other hand would work fine if your doing small amounts at a time. You can also heat the fruit in the same way you make a grain mash to extract the sugars and juices from the pulp. You will need to strain off excessive pulp before fermentation begins. The method used largely depends on the fruit your using and what you have available at the time. You must also remember that the sugar content of your fruit mash is very important, to high of a concentration will result in poor fermentation and to low a concentration will result in poor yields of alcohol per volume. Try to keep the ratio of available sugar to water to around 0.20 – 0.25 kg/L . You can use a hydrometer to measure the specific gravity of your mash which should be around 1.050 for more details on using a hydrometer to measure specific gravities see “How to use a hydrometer” post. 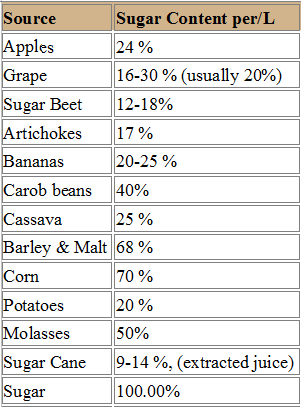 I’ve listed a few popular grains and fruits that will give you an idea of sugar contents. What Type of Yeast To Use For Fermenting Fruit Mash? Yeast selection is very important, I would recommend you use k1v-1116 to ferment fruit mashes. I wrote an article on : Yeast selection for fermentation of sugar, grain and fruit wash. It talks about selecting the proper yeast for fruit, grain mashes and sugar washes. Should I add sugar to a fruit mash? This is an arguments that is well debated among the brewing community. Supporters of adding sugar often argue that adding sugar to a mash increases the final alcohol content thus allowing you to achieve a final product within a single distillation. With a single distillation assuming you have a good middle cut you are able to achieve a quality product with heaps of flavors from your mash. On the other hand opposers argue that by adding extra sugar you are only increasing the alcohol content of your mash not the flavor. This will therefore decrease the quality of your final product. With a lower % mash you are able to achieve multiple distillations increasing the alcohol content and flavors of your final product. I would recommend you try both methods and compare the final products of both to see which you prefer. 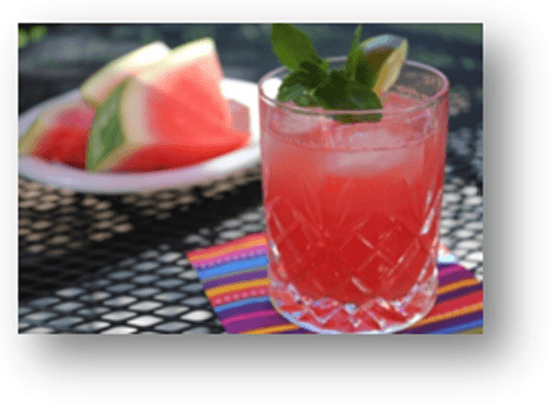 For detailed instructions including ingredients, materials needed and a step by step guide to making moonshine brandy, schnapps and many other fruit liquors check out our recipes below. 20 Responses to "How To Make A Fruit Mash For Moonshine"
I’d use a pot still, you want the flavor out of the wash. Before add your wash to the still make sure you strain out the solids. Can you comment on the amount of yeast needed for a given amount of juice? I have Lalvin EC1118, just don’t know how much to use and the Internet isn’t helping much! If you make the starter you should be good with a few packs of EC1118. Keep us posted on how you make out! i don’t see anyone anywere talking about using oranges? 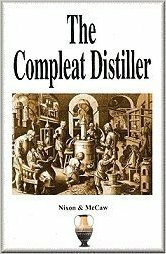 is there something that doesn’t work well to make a orange brandy? I don’t see why not, had a look online today for any orange brandy recipes and couldn’t find much. Anyone have a good one to try out ? I make an great orange craberry Brandy around Christmas each year. Don’t be afraid of trying them, the oranges have a strong flavor profile that comes through strong. I use them chopped up into soccer game style slices. Peel and all in my mash, in my hanging flavor basket inside my still and in my thumper. Orange works great! Try it.. . I make a orange cranberry Brandy around Christmas. Also, adding some of the fruit itself to the thumper? Wouldn’t this increase the flavor? how many pounds of fresh ripe pineapple would be needed to make 10 gallons of mash both without addin sugar and addin sugar. just lookin for a standard recipe for 10 gallons of pineapple mash to pour in a copper still set up includin thumper.. Does anyone have step by step instructions for apple moonshine, including what equipment I need, ingredients, temperatures, times etc? I found a couple of cherry plum trees on my property and gathered up about 15 lbs or so. After washing them and sorting I cooked them slowly and mashed them as they cooked and added 10lbs of sugar. I added cinnamon as well. After cooking to about 220 f. I poured half into carboys and added water to give me 4 gallons in each bucket. After cooling down to 90-100 I added yeast. Put sealed lid on with bubbler to keep air out. I distilled 3 gallons per batch. I’m getting some stout stuff. I would like to make a orange flavored moonshine. What would be the best way to go about it. Putting it in the thumper or making a mash with it? Any recipes would be appreciated! Thank you ! I have 2 ,5 gallon buckets of kumquats. Has anyone made shine from them? If so do you have any suggestions?